Black Dog & Leventhal Publishers Inc. Attractive, take anywhere, write in quiz book that offers a daily dose of self-discovery. Who Are You? Test Your Personality is perfect for a handbag, briefcase, or knapsack. This entertaining and enlightening quiz book is great to have on hand anytime and anywhere, be it a long commute, a waiting room, or an evening at home. Who Are You? 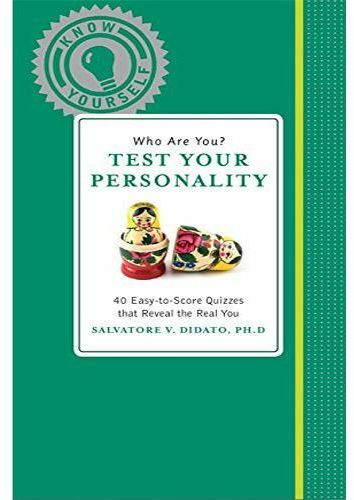 Test Your Personality is a a collection of 40 tests designed to answer who you are, how you got that way, and what, if anything, you can or should do to change. Each quiz can be taken in just a few minutes and is easily scored. With a fun, modern cloth cover, elastic closure and overall great package you will want to show off this clever quiz book wherever you go. Other titles in this series Who Are You? Test Your Emotional Intelligence. How Smart Are You? Test Your Math IQ. How Smart Are You? Test Your IQ. Publisher : Black Dog & Leventhal Publishers Inc.